Tips on creating an edible landscape that can help reduce some pest problems while benefiting pollinators, enhance soil fertility and provide homegrown fruits, vegetables and herbs. Food plants have jumped the fence from the kitchen garden. They're making their way into the landscape, doing double duty as both food sources and things of beauty. It's a movement called edible landscaping, and there's good reason for it, advocates say. Edible landscaping encourages and simplifies local food production, with all its health and environmental benefits. The idea behind edible landscaping is that fruits, vegetables and other edible plants can be intermingled with ornamental plants such as shrubs and flowers. Often edibles can be used in place of more common landscape plants — rhubarb instead of hostas, perhaps, or a fruit tree instead of a maple. "I think it opens up a whole new territory for people who don't consider themselves gardeners" or don't like the look of a traditional vegetable garden, said Jonathan Hull, co-founder of the not-for-profit organization Green Triangle. The Cleveland-area organization promotes permaculture, an ecological system that stresses living in harmony with nature. Edible landscaping is considered a part of permaculture because food plays a central role in sustainability, Hull explained. Homegrown food is considered by some to be more nutritious than much of the commercially produced food, and growing food locally saves the energy needed to ship it long distances. What's more, reducing a lawn to make room for food plants means less maintenance, less need for chemicals and less use of noisy, polluting equipment, he said. Edible landscaping also benefits pollinators and other wildlife that are seeing many of their habitats and food sources destroyed. And it's an economical approach to landscaping in tough times, noted Renata Brown, the Cleveland Botanical Garden's associate director of education. But Tim Malinich's motivation is more personal. "The best benefit, in my opinion, — is the taste is phenomenal," said Malinich, a horticulture educator with the Ohio State University Extension in Lorain County. Landscape designer Sabrena Schweyer said she regularly incorporates edible plants into the landscapes she and husband Samuel Salsbury create through their Akron, Ohio, firm, Salsbury-Schweyer. Sometimes those plants might be clustered in an attractive area set aside for food growing, such as a traditional French garden called a potager, or contained in pots in an area close to the kitchen. Sometimes they're incorporated into a food forest, a growing method that mimics the layers and plant diversity of a natural forest, where plants naturally get the water and food they need to thrive. She and Salsbury created what she calls an edible border on an 8-foot-wide strip of land that edges the driveway on the south side of their Highland Square house. There they mixed edible plants such as nasturtiums, cardoons, strawberries, potatoes and tomatoes — some of them in pots — among small trees, shrubs and perennial flowers. Schweyer said she took care to choose food plants they would use and looked for disease-resistant types, which often are heirloom or native plants. Because her yard is small, she often uses dwarf plants or climbers, such as the purple Italian beans that clambered up a bamboo arbor and fed the couple for a good part of last summer. She chose those beans because their color matched the trim on their house, she said. Beauty, after all, is a foremost consideration for her. Still, edible landscaping has some benefits that are purely practical, Hull said. For one thing, mixing a variety of plants can do a better job of reducing pest problems than traditional food gardening methods. Destructive bugs have a harder time finding individual food plants than they do a whole row, which is "like a big neon sign for any munching insect," he said. And with a mix of plants, it's easier to incorporate flowers that attract predator insects or confuse undesirable bugs. Interplanting can also enhance soil fertility, Hull said. He often incorporates plants grown specifically to be cut down and returned to the soil as fertilizer, or plants that take nitrogen from the air and convert it to a usable form. And because edible landscaping involves beds that aren't completely replanted each year, they're not tilled annually, he said. Repeated tilling breaks down the soil structure, a detriment to soil health. Despite the benefits, promoting the concept of edible landscaping means changing some firmly held mindsets. "I think a lot of people think flowers have to be here, herbs have to be here, vegetables have to be here," Hull said. He's hoping to break down those boundaries. • Start small. Limit the number and variety of new plants you add each year. That way you won't be overwhelmed by the amount of information you need to learn about them. • Choose sunny sites. Food plants need a lot of sunlight to produce the best-tasting fruits and vegetables. 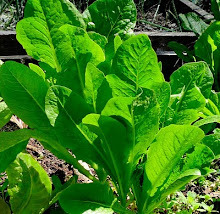 If you don't plant in full sun, the plants might still look nice, but the food they produce will have a lower sugar content and won't be as tasty. • Be aware of plant competition. Larger plants such as trees and shrubs can take a big share of water and nutrients, leaving an insufficient amount for the smaller plants. • Have a water source. Your food plants may need supplemental water, so make sure you have a hose or some other water source that can reach them. • Plan for wildlife. Birds and beasts like to eat many of the same things we do, so edible landscaping is likely to attract them to your yards. Some people want that; others don't. If you intend to protect your plants from wildlife, consider the ramifications. For example, you might be tempted to plant a berry bush in your front yard, but "how's that going to look in your design when it's covered with bird netting later in the season?" Malinich asked. • Be prepared for trade-offs. If you're used to spraying your plants for insects or diseases, you're going to need to be cautious. Consider integrated pest management instead, an approach that looks at all the factors that keep plants healthy and de-emphasizes chemical controls. • Know what you're growing. Just because someone told you a plant is edible doesn't mean it is. Be sure before you eat it. It's also a good idea to eat only a small amount of a new food at first, just to make sure you're not allergic to it. • Expand your horizons. Study how to prepare the foods you're growing, so you'll enjoy them and they won't go to waste.